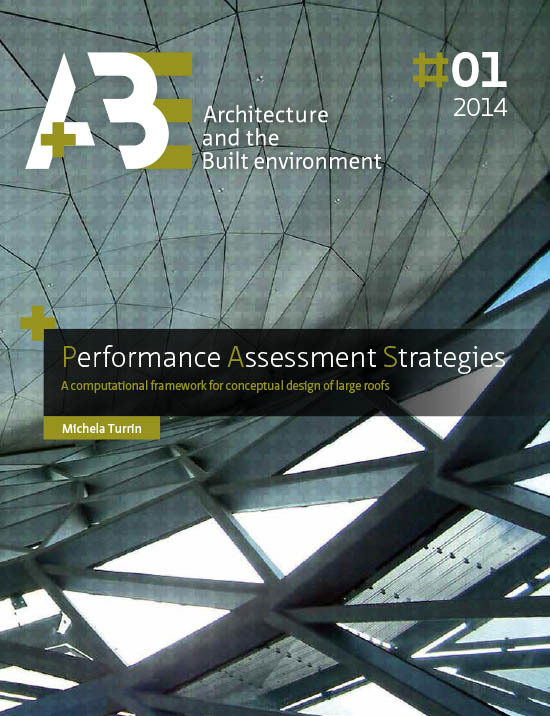 Using engineering performance evaluations to explore design alternatives during the conceptual phase of architectural design helps to understand the relationships between form and performance; and is crucial for developing well-performing final designs. Computer aided conceptual design has the potential to aid the design team in discovering and highlighting these relationships; especially by means of procedural and parametric geometry to support the generation of geometric design, and building performance simulation tools to support performance assessments. However, current tools and methods for computer aided conceptual design in architecture do not explicitly reveal nor allow for backtracking the relationships between performance and geometry of the design. They currently support post-engineering, rather than the early design decisions and the design exploration process. Focusing on large roofs, this research aims at developing a computational design approach to support designers in performance driven explorations. The approach is meant to facilitate the multidisciplinary integration and the learning process of the designer; and not to constrain the process in precompiled procedures or in hard engineering formulations, nor to automatize it by delegating the design creativity to computational procedures. PAS (Performance Assessment Strategies) as a method is the main output of the research. It consists of a framework including guidelines and an extensible library of procedures for parametric modelling. It is structured on three parts. Pre-PAS provides guidelines for a design strategy-definition, toward the parameterization process. Model-PAS provides guidelines, procedures and scripts for building the parametric models. Explore-PAS supports the solutions-assessment based on numeric evaluations and performance simulations, until the identification of a suitable design solution. PAS has been developed based on action research. Several case studies have focused on each step of PAS and on their interrelationships. The relations between the knowledge available in pre-PAS and the challenges of the solution space exploration in explore-PAS have been highlighted. In order to facilitate the explore-PAS phase in case of large solution spaces, the support of genetic algorithms has been investigated and the exiting method ParaGen has been further implemented. Final case studies have focused on the potentials of ParaGen to identify well performing solutions; to extract knowledge during explore-PAS; and to allow interventions of the designer as an alternative to generations driven solely by coded criteria. Both the use of PAS and its recommended future developments are addressed in the thesis.